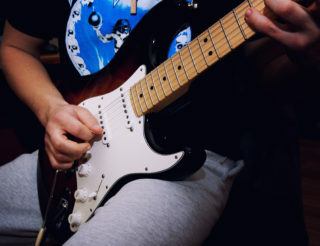 YouTube has become well known for its tutorial videos and how-to clips on every subject on the planet and guitar lessons are no exception. 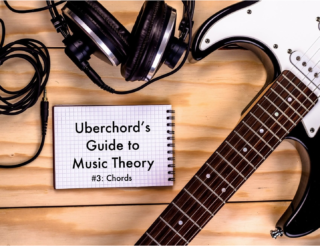 Videos don’t provide the same kind of interactivity as our Uberchord app, which can listen through your device’s microphone and give you instant feedback on your playing. But we agree that YouTube clips can let you actually see and hear what’s going on—it can make a difference when things get confusing. achieved by the creators. A lot of YouTube channels can be very amateurish and suffer from poor video quality, muffled audio and presenters who don’t work well with a camera. And it doesn’t matter if the lesson is coming from someone in the same room or from a studio on the other side of the world, the guitar teacher needs to be good. Someone who communicates clearly and makes you feel welcome. Here are our choices for the five best YouTube channels. We made sure they all have plenty of content for novice players, but you’ll find lots of videos for advanced musicians, too. 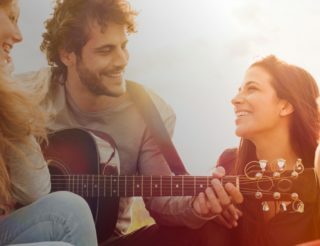 Some of them are hosted by people who are simply passionate about playing guitar and want to share that passion without trying to make a million bucks out of you. Don’t forget to show them support. You have to admire a YouTube channel and accompanying website that’s taken one guy on his own over fifteen years to build and offers hundreds of different lessons at all the various levels. The great thing about Justin is he gives off a cool, enthusiastic vibe all the time whether he’s teaching a basic chord for beginners or taking seasoned players through a complex solo. Justin actually has two YouTube channels, one for his guitar lessons and one for teaching particular songs. 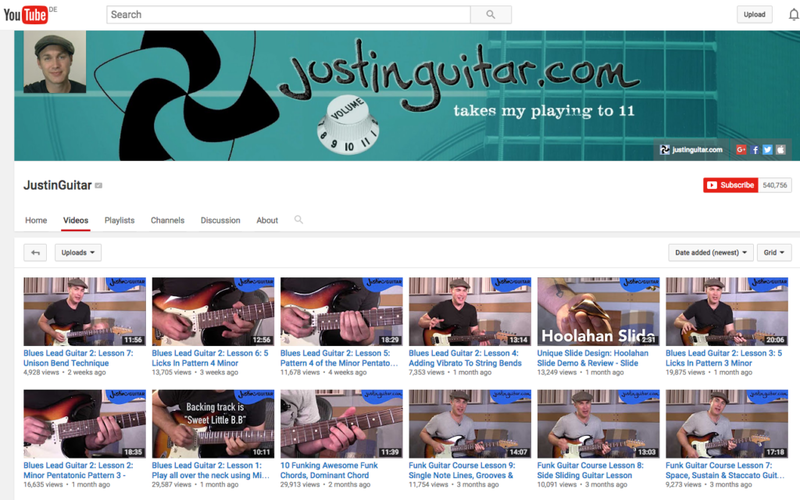 While his channels are excellent, you’re better off to access them from his website at www.justinguitar.com where you’ll find full, comprehensive menus and links to each video along with explanations of the content. You’ll have no problems of watching a full video, only to discover it doesn’t include what you wanted. It’s the organised links between his website and the YouTube videos that’s a step above the rest. With well-structured, common sense lessons at all levels, Justin is a great resource for everyone picking up a guitar. And it’s completely free — although we’d suggest you do the right thing and donate some dollars for all his hard work. 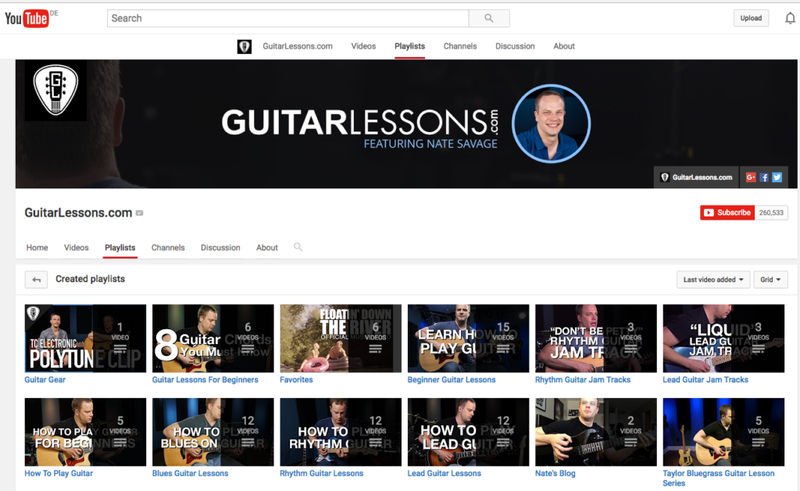 The first thing that strikes you about Nate Savage’s Guitar Lessons YouTube Channel is how well the structured, numbered lessons are organised on the YouTube Home page itself. Overlays on the opening titles screens and the names of the lessons make it very clear about the content and help you to choose exactly what you need, or let you skip over any unnecessary stuff. His complete beginner topics go right back to “How To Hold The Guitar” which might sound really basic, but Nate’s absolutely right to nip any bad habits in the bud at the very beginning and that particular video could the most important 3:26 of your career. And I have to make mention of the high production levels on Nate’s videos. The vision and audio is excellent, the lessons are well made, and Nate’s friendly, easy-going manner makes you feel like he’s your best friend and guitar tutor at the same time. 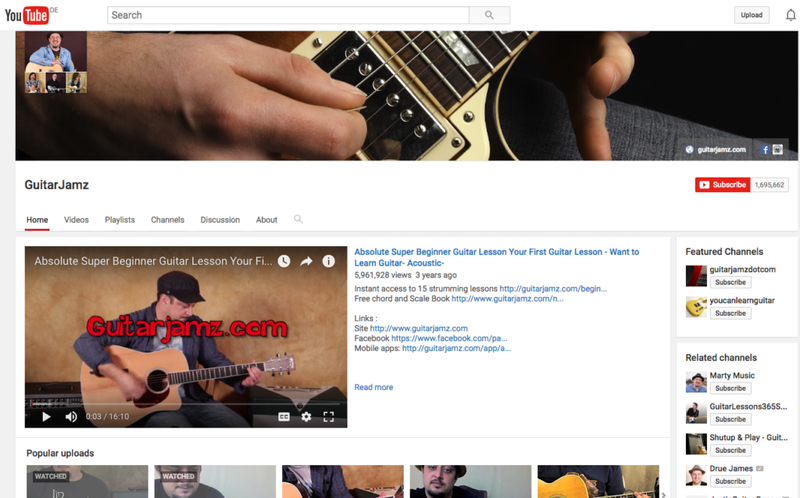 Jamplay is a large YouTube Channel featuring all levels of guitar lessons from the very basic, beginners’ guides to expert levels and, of course, some videos that dissect popular songs or styles down to the last finger and fret. It has big range of different players and “teachers”, so if you maybe find one guy a bit hard to understand or perhaps you don’t quite connect with his style, look around and you’ll soon find someone else. 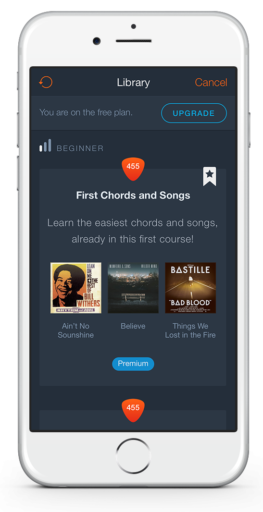 There aren’t really any structured lessons—like, where you’re starting at the beginning and working your way sequentially through—you have to browse through the playlists and find what’s best, but the quality of the lessons and wide variety of topics will have everything covered. 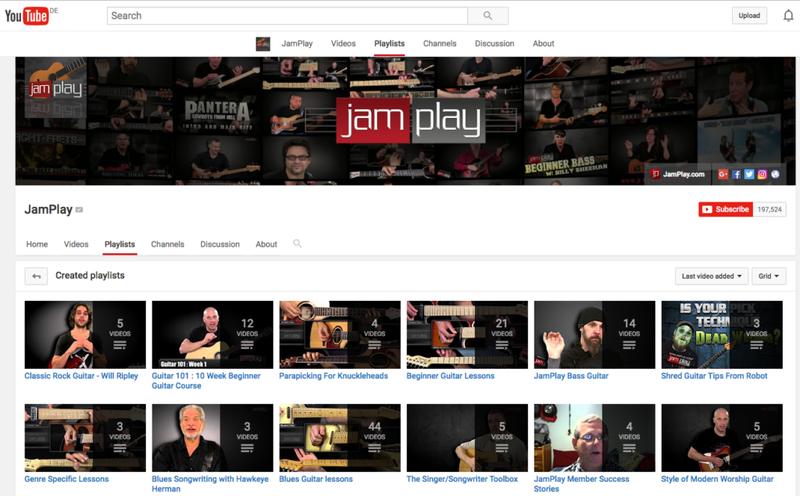 JamPlay is a sampler for the website, where you’re offered a subscription service to complete courses, which explains the kind of shotgun approach to the videos made available on YouTube. But the size and breadth of the topics you can access for free still makes it a great channel. 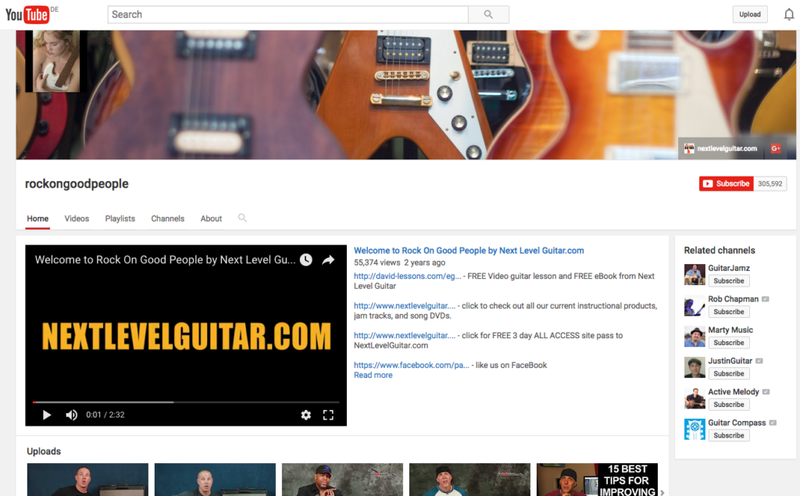 Rock On Good People (it’s actually rockongoodpeople) is another YouTube channel really designed to funnel viewers towards the creator’s website, www.nextlevelguitar.com which—no surprise—has heaps of stuff you can buy. But that doesn’t mean that Rock On Good People doesn’t provide a long list of free videos ranging from lessons for beginners through to how-to-play-techniques aimed at experienced players. What I like about Rock On Good People is the cool vibe you get from all the presenters, no matter the style or subject of the lesson, and some of the videos take you further down the guitar-playing track with themes like “Tips For Improving Your Live Shows”. That might seem a long way off, when you’re currently trying to get your head around playing basic barre chords, but these videos have hints and advice that are good seeds to plant in your mind early, even if you’re still some years off jumping off your first Marshall stack and into the mosh pit. 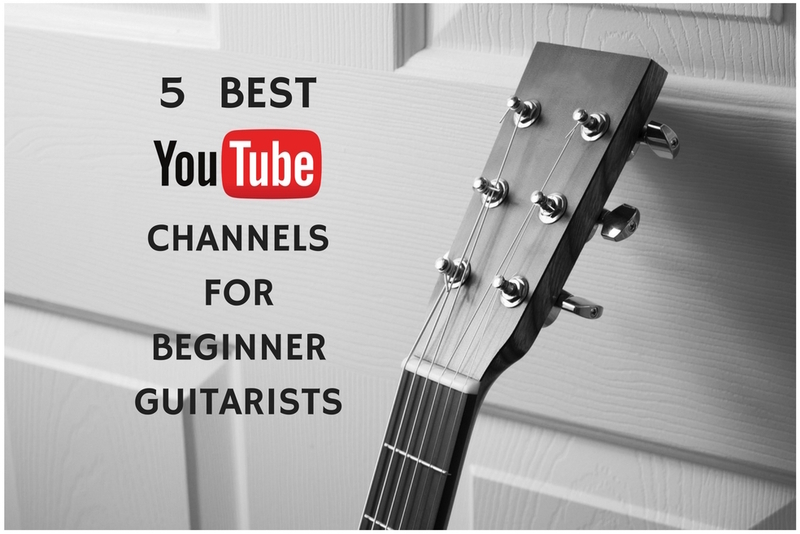 Have you used any great YouTube channels to help you figure out a tricky guitar piece? We’d like to know any more excellent sites that particularly support novice players. Leave a link in the comments section! I’d also highly recommend https://www.youtube.com/user/guitarz00m Some of it is just previews for their paid courses, but Steve Stine is the best online guitar teacher I’ve seen. I am new to guitar but had played Baritone in grades school thru high school in a small school with a band teacher who went on to Iowa State. So I wasn’t finding where notes were and started watching guitar/music theory and found several who headed me to learn my Pentatonic E minor scale before I have finished with chords. I wanted to know where notes are on fretboard. I agree Steve Stone is not only well educated but knows his stuff. Sometimes wordy. But enough content to give any beginner a foundation. I didn’t see Theory until Beginner Lessons are finished on other sites and didn’t have access without paying and too new to pay. I swear by Justin Sandercoe. He is amazing and the best tutor I have come across. I have been watching Marty, subscribe to many, but found Jonathan Kehew also a very good teacher with longer than most videos and a calm organized presentation . Would like to see what anyone thinks about Swift guitar lessons. I stated using his site as he allows downloads of pdfs of scales and other written material to accompany the videos. He also has three camera in camera closeups of chords and hand position. His appearance clothes, pale skin, open neck shirt, facial hair is a turn off but his content is good I think.